During the Great Depression, sugar cane wages were very low in Puerto Rico, and many people – though hard-working – could not afford proper health care. The Brookings Institution Report of 1930 found enormous gaps in the public health system of the island. Essentially, the Brookings Report found that there was no public health system. A large number of U.S. doctors obtained grants from the Rockefeller and Carnegie Institutes for the development of “tropical disease” controls – but many of these doctors used their grants to conduct clinical trials on unsuspecting Puerto Ricans. One of these doctors was Dr. Cornelius Rhoads. Children were particularly susceptible to infectious diseases, and the infant mortality rate became very high. Funerals for poor children became a frequent sight. 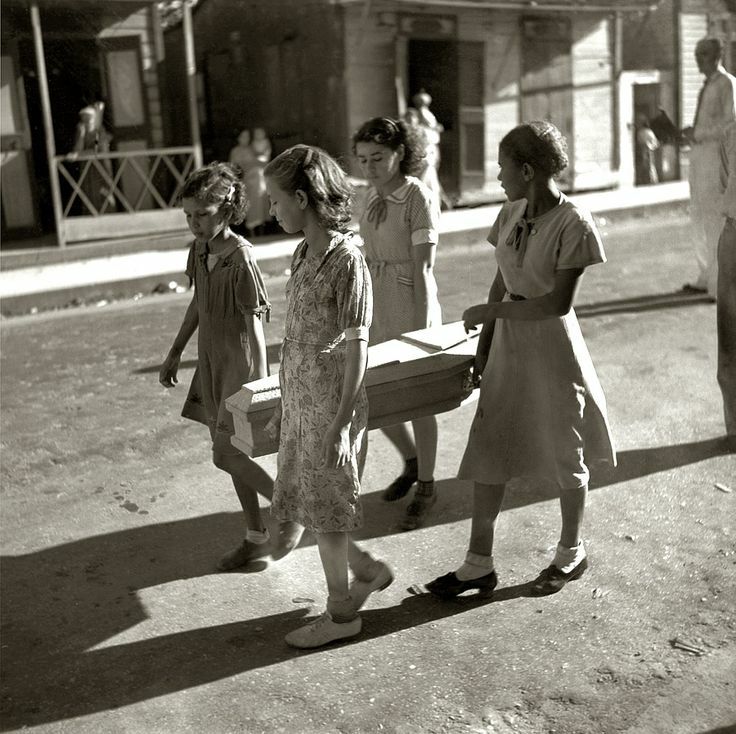 Here is a photo of a child’s funeral procession. She is being carried by her sisters and friends. It was taken by Edwin Rosskam, in Ponce, in 1938. We made sure that the photo loads up…it should work for you now. Please check picture. Dosen’t show. ¡Gracias! FYI …. check the pic. I can’t see it here … I will share anyway. Sometimes, it shows after sharing. Great job ….. Paz!! !